Oxford is proud to be able to offer a very high number of fully-funded scholarships each year, with over 1,000 available for courses starting in 2018-19. Clarendon is one of the biggest of the University’s scholarship schemes, offering around 140 new scholarships each year. Clarendon Scholarships are competitive, prestigious and highly sought-after. Like all fully-funded Oxford scholarships, they cover all tuition and college fees, and offer a generous grant for living costs; however, Clarendon’s additional appeal lies in its unique community of scholars. Whilst there are no quotas by course type, the majority of Clarendon scholars are working towards a DPhil (Oxford’s name for a Ph.D.). Scholarships are also awarded for two-year graduate degrees (such as the MPhil or BPhil) or one-year degrees (such as the MSc, MSt, MBA or MFE). The Fee liability page of the official website explains this in full, and also gives information about charges that may be applied after the standard period of fee liability has been reached and which are not covered by the Clarendon Fund. One of the many benefits of being a Clarendon Scholar is membership of the Clarendon Scholars’ Association. Provides a graduate experience with a wide range of events and opportunities that will inspire you to excellence. By applying for graduate study you will automatically be considered for a Clarendon Scholarship. You do not need to submit any additional documents specifically for the Clarendon Scholarships and there is no separate scholarship application form. You must apply by your course’s January deadline in order to be considered. Information about deadlines is available on the Course pages. Applicants who hold deferred offers to start in 2018-19 are not eligible to be considered for this scholarship. 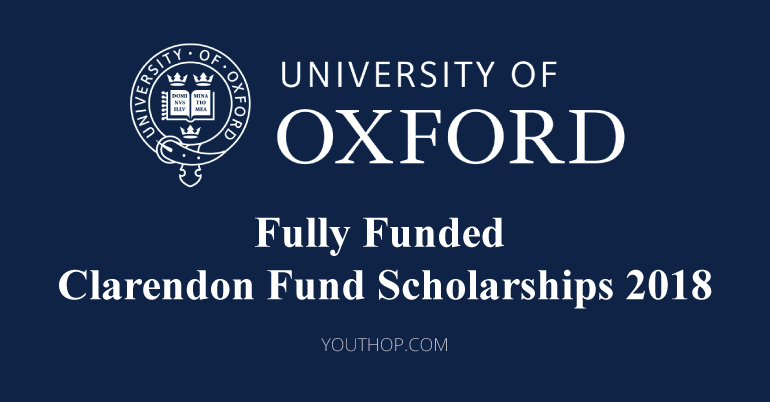 Current students who will continue to study for the same degree at Oxford in the next year are not eligible for this scholarship.